← Tour and Presentation Information Updated! The Pennsylvania Abandoned Mine Reclamation conference will provides a forum for the dissemination of information and encourage discussions between industry, watershed groups, and decision makers that can help to further innovations in public policy, abandoned mine reclamation, remediation, and restoration of PA’s watersheds and communities impacted by AMD and abandoned mine lands! 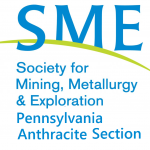 Are you interested in becoming a part of the longest running Pennsylvania Statewide Conference on Abandoned Mine Reclamation as we forge ahead into the future of reclamation in PA? Sponsorship at one of our convenient levels is a great way to get involved. And there are some great perks too! *Sponsors and Exhibitors must bring their own 10′ extension cords. Please stop by the registration table at the PA AMR Conference to find out where we have reserved space for your exhibit. You may setup starting at 7AM on Thursday and please plan to take down your exhibit by no later than 5PM on Friday. Please contact Robert Hughes at 570-371-3523, rhughes@epcamr.org if you have any questions. 2008 AMR & CMH Conf. 2009 AMR & CMH Conf. The frame to the left is a link to the EPCAMR Online Store where you can purchase different registration and exhibit options for the AMR Conference. This year registration is "a la carte" style. Click the title of items from the store menu to read the description. Choose "Add to Cart" to build an order. Your shopping cart will automatically update. Choose "Continue Shopping" if you need to add more registrations or "Checkout Now" complete your order and move on to payment options. If you click into an item and get lost, don't use the back button. Choose "Conference Registrations" link directly under the title of the item to get back to the menu of conference items. If this interface isn't working well for you, please visit the EPCAMR Online Store Directly and look for conference registrations section. These items will show up with a "new" sticker. You may call EPCAMR staff at (570) 371-3522 to assist you with the registration process. Looking for Scholarship information? A 50% discount is worked into registration for non-profits. Travel scholarship information is explained on the Lodging Page.